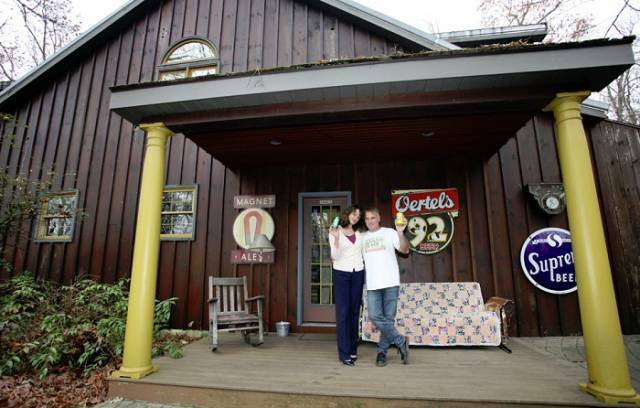 When you see this house, you might think that you’ve been transported to a Mattel museum. 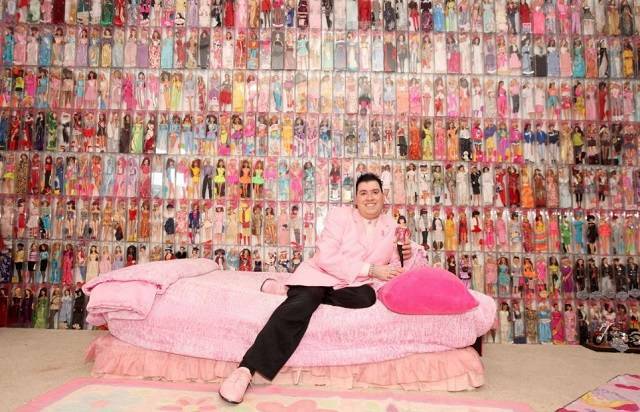 With 2,000 Barbie dolls, and 1,000 Ken dolls on display, Stanley Colorite has a Barbie dream house. 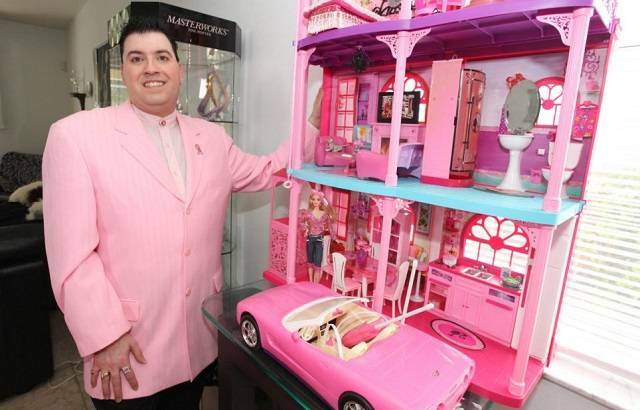 The 41-year-old from Florida, who calls himself the Barbie Man, started his collection almost twenty years ago and spends $30,000 a year adding to it. 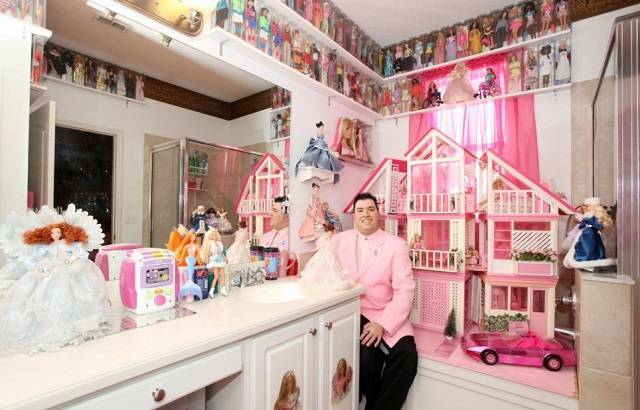 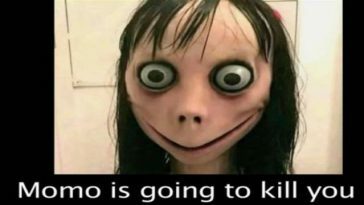 He lives in a seven-bedroom home, and the dolls have taken over four of the rooms. 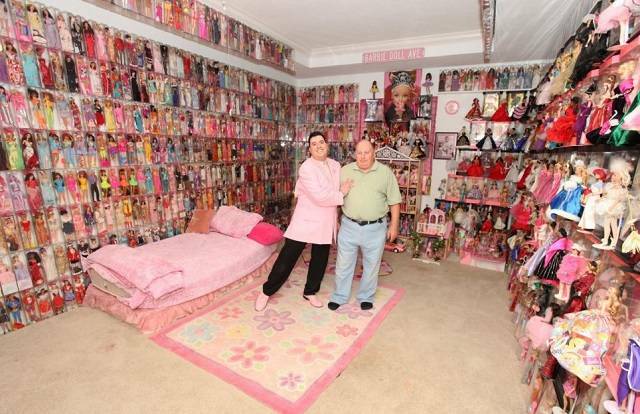 Aside from his 2,000 Barbies and 1,000 Ken dolls, some of which are worth $1,000, he has 3,000 Barbie outfits. One of the garments was designed by Oscar de la Renta. 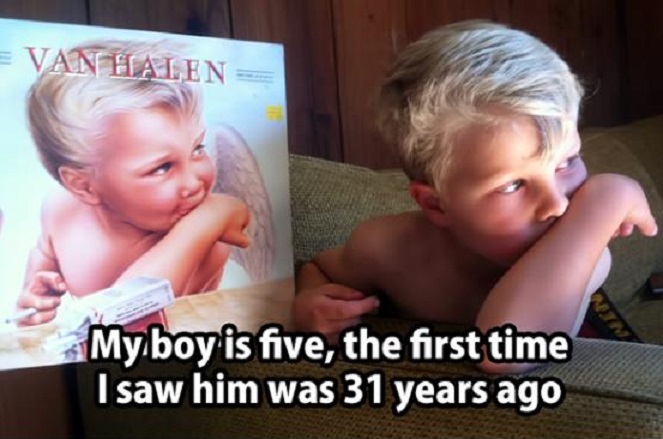 He also has an airplane, motorcycle, limousine, and camper van for the dolls.